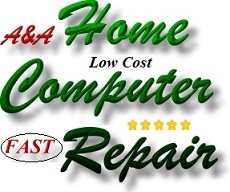 Please note that unlike others, we do not send Computers away for Virus Removal - Virus Repair and all repairs and installations are performed in-house by qualified, highly experienced computer engineers. 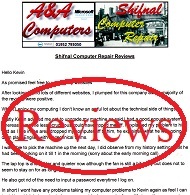 Shifnal Computer Virus Repair includes Haughton Computer Virus Repair, Sheriffhales Computer Virus Repair, Kemberton Computer Virus Repair, Tong Computer Virus Repair and Computer Virus Repair in the surrounding villages. Simply call us with details of the virus symptoms. A&A Computer Virus Removal (Shifnal) can usually advise on the problem over the phone (the problem may not be caused by a computer virus). If the computer is infected with a virus we will need to work on the computer in house. 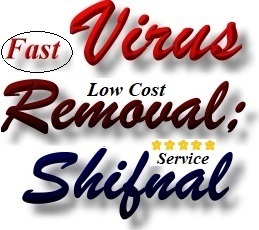 A&A Computer Virus Removal (Shifnal) can collect the PC or laptop from the address in Shifnal (Shropshire) or the client can deliver the system to us.